As you can see, very under construction. Outside A dual 720kByte floppy based PC (80c88). 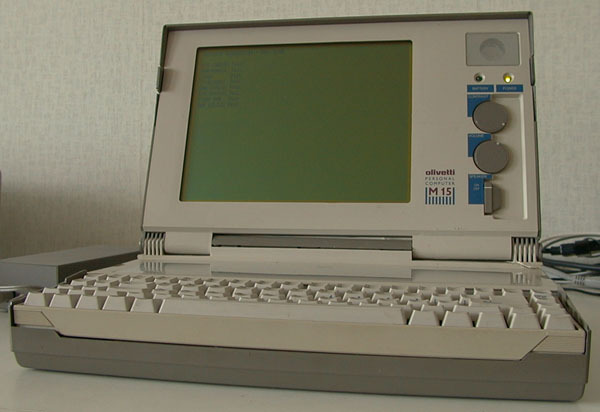 This machine is comparable to the IBM Convertible. 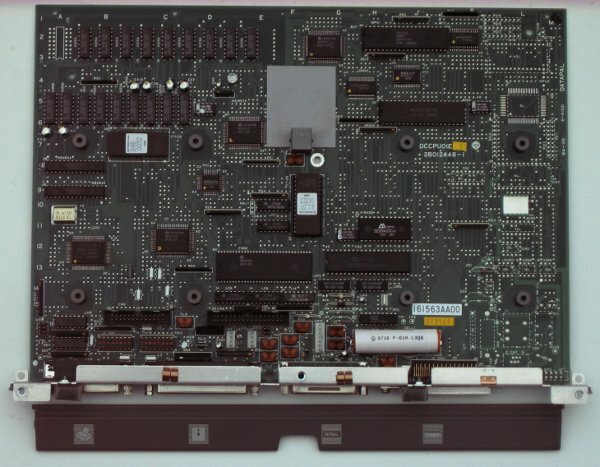 Inside The main board. Below the connector cover which uses pictograms to indicate port function. Note the 'Bus' on the right. Supply Instructions on how to proper connect the power supply. The wiring is a bit unusual, as the pins of both connectors are positive and connected. So the M15 works on negative power supply; 5 V for operation (DC connector) and a NiCd-charger (9 V without load, CHARGE connector). Battery data 4.8v/5000mAh (NiCd). 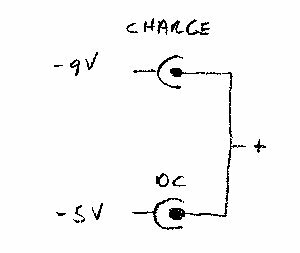 The manual states 8 hours for charge time, this results in a charge current of 0.2 C, in this case 1 Ampere. Some preliminary specs from the manual. The BIOS for emulator builders.